So I’ve been contemplating for a while now, blogging about a political issue that has been weighing heavily on me. Our pastor has been preaching a series called “Exposed” – basically how does what we say and how we act expose what is in our hearts? The series could loosely be based on Luke 6:45 – “For out of the overflow of our heart our mouth speaks”. So what we say is just overflow of what is really in our hearts. That verse sure put it in perspective for me. Out of all the junk that can sometimes come out of my mouth, and the mouths of other Christians, there is a whole heart full of more. It sure has made me think twice about what I say, even when no one is listening, especially when no one is listening, because that’s when I’m truly me. It’s an election year. You would literally be living under a rock to not have noticed. You can’t watch a TV show and not see political ads. Or even scroll through Facebook’s news feed for that matter… It’s everywhere. While our church was going through this Exposed series, The Patient Protection and Affordable Care Act, otherwise dubbed “Obamacare” – which I refuse to call it, was upheld by the Supreme Court. The point of this blog isn’t to debate the Care Act itself, but our Pastor used it as an example of how politically divided America is. As Christians, what is in our hearts when we criticize and slam the politicians running this country? What is the overflow of our hearts? The most important point he made was, we (whether by choice or not) are denying the reality of a superior kingdom. We are so caught up in our earthly kingdom that we have forgotten our Heavenly kingdom. Barrack Obama is not who Christians will one day answer to. Jesus is the KING of Kings and guess what, He’s sitting at the Father’s right hand waiting to bring us home. In the grand scheme of things, your political affiliation will NOT matter. Guess what, we’re all going to be ok. If Obama is elected for another term, IT WILL BE OK. If Romney is elected, it will be ok. If gas goes up to $5 a gallon, it will be ok. If gay marriage (gasp!) is legalized, it will be ok. Our lives will go on and Jesus will still in be control. We are storing up our treasures in Heaven, let’s not forget it. Our citizenship is in Heaven (Phil. 3:20). I’m not saying you can’t support a political party, I’m just saying my allegiance is in Jesus. He is more than capable of handling our political problems. Now more than ever, Christians need to be in fervent prayer for our leaders. For they are making decisions, you and I will never have to make. Our time on this earth is short, but the responsibility we have is great. What impact is the “overflow” of our heart having on others? What do people think when they see the “overflow” of our heart? Do they see Jesus? This series has really rocked me and I just wanted to share some of my thoughts. I’m proud everyday to be American. I’m proud to live in a Country where we can all believe differently. And I’m thankful everyday to serve a God who is bigger than it all. Who loved me enough to create me in His image and love me even though I had nothing to offer Him. Yeah, America is great, but I’m waiting on my Heavenly Kingdom. May: Taylor left for a 2 month long training exercise. June: I ran my first marathon, the San Diego Rock ‘n’ Roll series. I finished in 4:23, a time I was extremely happy with. That was by far the biggest physical and mental challenge I have ever been through. Everything from excitement, nervousness, feeling defeated (around mile 20), anger (that I had signed up for that stupid race), and finally accomplishment and a sense of pride in what my body had just endured. I cried the last entire mile because I knew I would finish, and finish in one piece. I ran every step of the way, determined to not walk it. Since finishing it, I’ve had absolutely NO motivation to train. So in true Cayla fashion, I sign up for another half marathon. I have 3 weeks left to train. My goal is to hit 2 hours or under. I’m finally just starting to feel normal again when I run and not completely, physically drained. I’ve changed the way I approach running and try not to be so competitive with myself. When I push myself too hard, what I love about running and training gets lost somewhere. Later in June, one of my dearest friends came to visit for two weeks. It was definitely the best two weeks I’ve had in a long time. We explored SD non-stop and soaked up the SoCal sun and just enjoyed each others company. Mid-July, we welcomed Taylor back home and Sophie has been thrilled having him home. I have taken on the challenge of becoming a personal fitness trainer. I’ve been studying non-stop and trying to learn as much as I can. I will take the 3-day course in mid-September. So prayers are greatly appreciated for that. Lots to learn! I’m also strongly considering a half-Ironman distance triathlon. The 1 mile swim is an ocean swim which honestly scares me and is what has kept me from signing up just yet. I’ve been open water swimming at least once a week, but it’s a struggle for me and doesn’t come naturally. Running is therapeutic and biking is awesome, but swimming just does nothing for me. I get no satisfaction or enjoyment from it. So I’m starting to think Tri’s are not for me. Sophie is growing and changing each day. She keeps us on our toes and the terrible two’s have about worn me out. But we are surviving! So there is a run down of our summer. 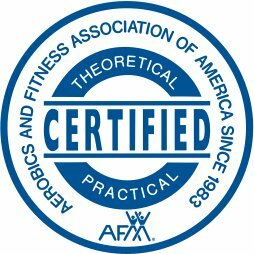 Over the next few months, once I’m certified and hopefully either working or continuing education, I will be over-hauling my blog into a more nutrition/fitness related one.